In deciding whether to switch from an on-premises application to the cloud—a decision that is becoming more imperative by the year—a new Whitepaper released by Nucleus Research highlights the many reasons cloud saves money. Cloud Delivers 2.1 Times More ROI lays out some surprising numbers. In the first place, cloud application projects deliver 2.1x times the relative return on investment (ROI) of on-premises ones – up 24% since their 2012 analysis, which marked the difference at 1.7x times. And because cloud applications have become increasingly feature-rich, they offer increasing ROI, with little end in sight. “Companies continue to invest in cloud applications and infrastructure projects because of the lower initial cost and faster time to value. As more and more vendors have invested in moving their solutions to the cloud, the breadth of availability of cloud platforms, applications, and services has grown – as well as the complexity of cloud applications available,” writes Rebecca Wettemann, analyst for Nucleus. 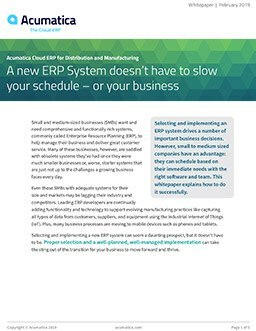 This means that all the great things about cloud applications—adaptability, integration, and customization, not to mention relatively low startup costs and negligible maintenance—are still true, and only become more so as time moves on. Cloud Delivers 2.1 Times More ROI points out two main numbers that should make anyone considering a switch to the cloud sit up and pay attention. Support Personnel: The cost in support personnel for cloud applications is on average 55% lower than on-premises. It’s also a good idea to find a vendor you can trust. It prevents the likelihood to “cut and run”—as Nucleus puts it—in the first six months. Save yourself the hassle of switching from a less than satisfactory vendor by doing some additional research on the front end and finding a partner who really understands the needs of your business. For more details and analysis, read the whole Whitepaper about how cloud solutions are very worth the ROI. And to see how the cloud looks when you try it on, contact us for a free product tour.